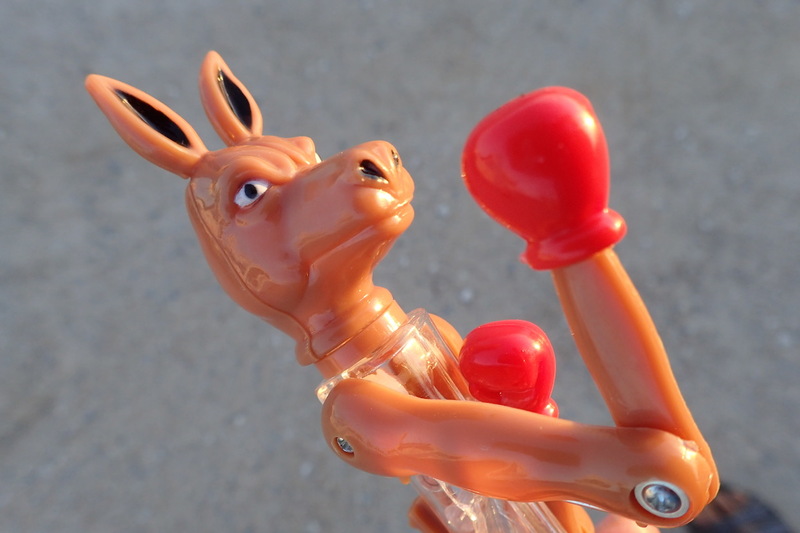 "Made in China" boxing kangaroo pen. South Australia, at the gateway to the Nullarbor. I suspect this is one pen we will not lose. We were almost upon the Nullarbor, reputedly Australia's biggest, baddest road. We detoured into the small South Australian town of Iron Knob driven by an urgent need to use their facilities. While we were there we figured we'd take a spin through town - sure it wouldn't take long! 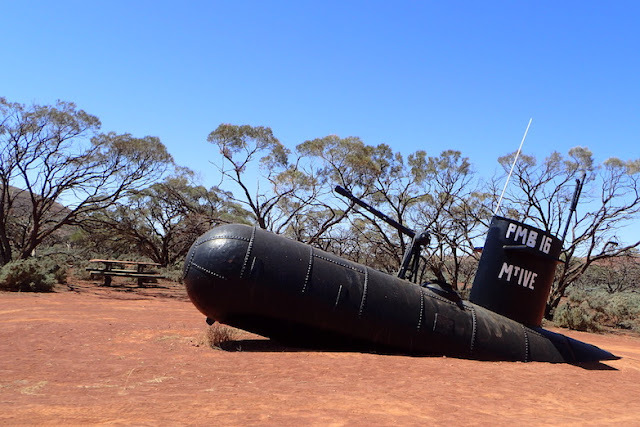 The free little mining museum caught our attention. A couple cold and surprisingly inexpensive (for Australia) sodas and a boxing kangaroo pen later we decided to check out Mt. Ive station, as it looked cool in the museum info. From a toilet stop in South Australia's Iron Knob, we decided to tackle 80 miles of dirt roads into Mt. Ive Station, Western Australia. "Check out the submarine there," the guy at the museum insisted. "Really." Yup - there was a sub at Mt. Ive Station's entrance. Didn't sink there, but was made somewhat recently by a bunch or locals. At this stage, we have few deadlines, other than shooting for setting up camp before dark and leaving Australia by mid-August. It's a good feeling. 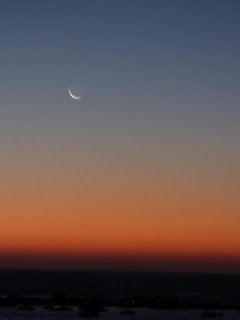 than those on the far more widely traveled Nullarbor. South Australia. About 125 km (~ 80 mi) later, most of it dirt road, where we saw only one other vehicle pass us ( a truck with an empty trailer) we pulled into Mt. Ives station. 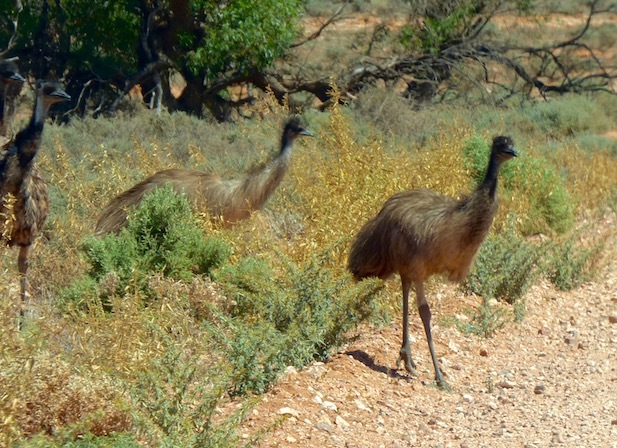 We did, however, see several emus and some 'roos along the way. Our first emus seen in the wild, on the road to Mt. Ive Station. We are not sure why the emus crossed the road. South Australia. It was hot, dusty and we were getting annoyed with the flies. We could camp, but instead sprung $65 AUS (~$50 USD), using our own linens (to save $10 AUD). We slept in a sheep-shearer's cottage with no air conditioning, but a fan. Also included was access to a hostel-like full kitchen, large commons recreation area and bathrooms with hot showers upon request. * There was a bar and general store open upon request, but we were set. *A wood-fire "donkey" heated the hot water tank for hot showers if desired. The heat of the day warmed the water without it for a shower that eve. My "refreshing" morning shower, however, taken after Wayne's, exceeded the solar-heated water. While the shearing was completed a month prior, there were some workers at the station "goating." 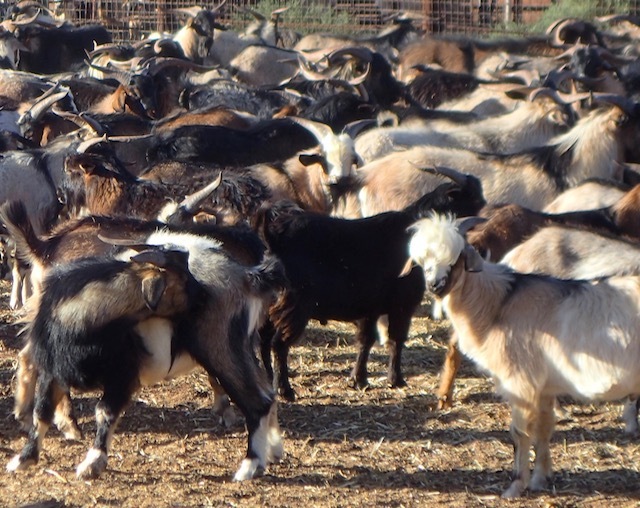 At least that was the coy term the working tourist VISA English gal who checked us in euphemistically called the airplane mustering of wandering semi-wild goats soon to be on their way to the local abattoir. Wandering goats captured and penned at Mt. Ive Station, South Australia. The goat's haunting, distressed bleats, which we heard periodically, sounded uncannily human. We, meanwhile, luxuriated. We decided we got the afternoon we arrived was to hot and fly-ridden to hike. The next day, the lure of a real bed and hot showers were far more compelling than an early start. With the sun high in the sky by our mid-morning departure, we bypassed the very attractions -- walking on the salt lake and hiking amongst the eerie natural rhyolite sculptures (like Cath's Castles and Peter's Pillars) that impelled us to visit Mt. Ive. 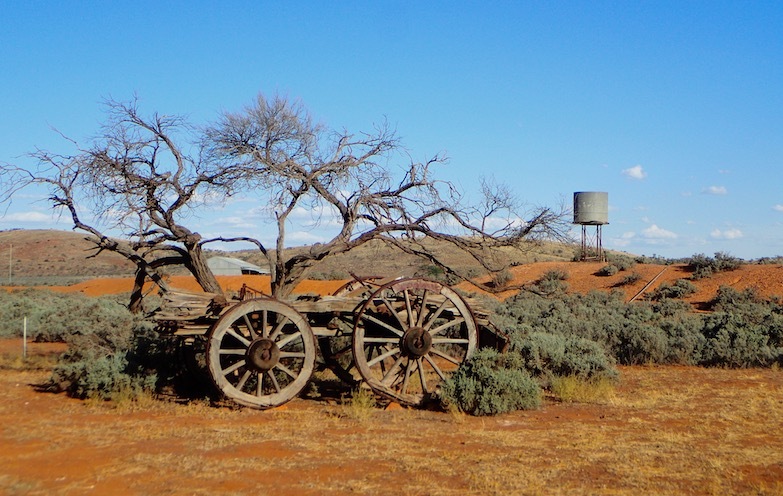 Yet, the simple experience of a decent shower, an easy-to-use kitchen, a bed in a fly-free room and the novelty of staying in a sheep-shearer's shack, our taste of Australia's still-vibrant "old West" made the detour worthwhile for us. More photogenic and slightly more expensive cottages next to our simple sheep shearer's shack, Mt. Ive Station, Western Australia. 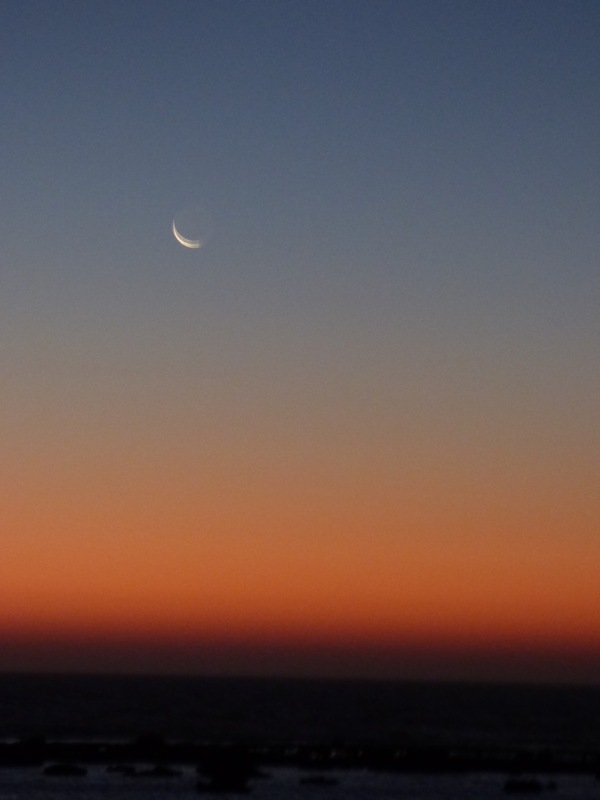 Without further ado, we made our way to Australia's "legendary" road, the Nullarbor. Mt. Ive Station definitely set up some nostalgic photo props, like this wagon, though it is still a working station, too. West Australia. And our take on those patting themselves on the back for completing Australia's legendary Nullarbor? Mt. Ive Station is not as long, but far more rugged and remote. 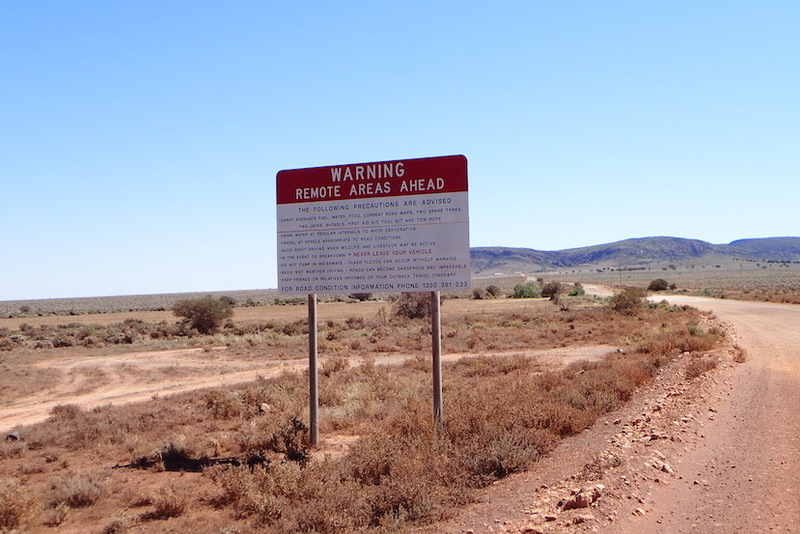 As was the 4-wheel-drive shortcut we took to Esperance from Balladonia. Mt. Ive is near the part of South Australia that touches the Nullarbor, which is more in Western than South Australia. We arrived March 10, 2017 and left the next day. We are currently in Western Australia's Coral Bay "Club Ningaloo" Backpacker Lodge, again dodging the flies. This time, our room has air conditioning. Then again, it's also $30 more. No extra change for the grasshoppers. We're making our way to Exmouth, maybe Karijini, then Broome... as we continue our clockwise circumnavigation of Australia by Land Cruiser.